Spiral steel silo manufacturing technology is the most advanced technology for steel silo in the world. It produce steel silo by a special kind of seam lock, not by welding or assembling. Our spiral silo making machine rolls form 495mm wide, 2mm-4mm thick steel into 365mm wide strips, and spiral seam lock them together into round silo. The swage is about 30-40mm wide outside of the silo to reinforce the silo. 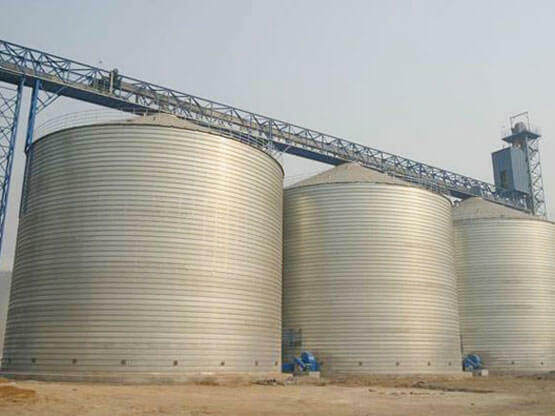 Now, Steel silo are widely used in storage granular, powder, oil, food, brewing, coal, building materials, industrial and agricultural areas, urban and environmental industry and other fields.